Lourdes University offers a challenging, flexible, and fulfilling work environment, driven by the institution’s mission to provide job opportunities for intellectual discovery for our students. We offer numerous benefits, as well as many opportunities for personal and professional enrichment — and our employees value the sense of family they gain from working in a small, caring community. Our campus is situated on 127 beautiful wooded acres in Sylvania, Ohio (10 miles west of Toledo). Please review available job opportunities below. Overview: Lourdes University, rooted in Catholic and Franciscan traditions, provides a values-centered education that enriches lives and advances academic excellence through the integration of the liberal arts and professional studies. In support of this mission, Lourdes University nurtures a diverse community that supports students in fulfilling their potential, commits to the engagement of faith and reason inspired by our Catholic and Franciscan intellectual traditions, and provides a holistic, student-centered education rooted in the liberal arts. Offering bachelor and graduate degrees in the liberal arts and professional studies, Lourdes provides education and preparation for meaningful careers and lifelong learning and fosters personal integrity, ethical understanding, social responsibility, care for all of creation, and a commitment to community service. Lourdes University is currently inviting applicants for a Clinical Teaching Instructor position for the 2019 Spring Semester in the College of Nursing. These temporary positions will assist and work under the direction of faculty to provide instruction in a classroom, laboratory or clinical setting. MSN or graduate degree in Nursing will earn $45 an hour and a BSN degree will earn $38 an hour. OB Nurse with a BSN degree required. Experience as an educator in an academic setting preferred. Current, valid RN license to practice in Ohio. Overview: Lourdes University, rooted in Catholic and Franciscan traditions, provides a values-centered education that enriches lives and advances academic excellence through the integration of the liberal arts and professional studies. In support of this mission, Lourdes University nurtures a diverse community that supports students in fulfilling their potential, commits to the engagement of faith and reason, inspired by our Catholic and Franciscan intellectual traditions, and provides a holistic, student-centered education rooted in the liberal arts. 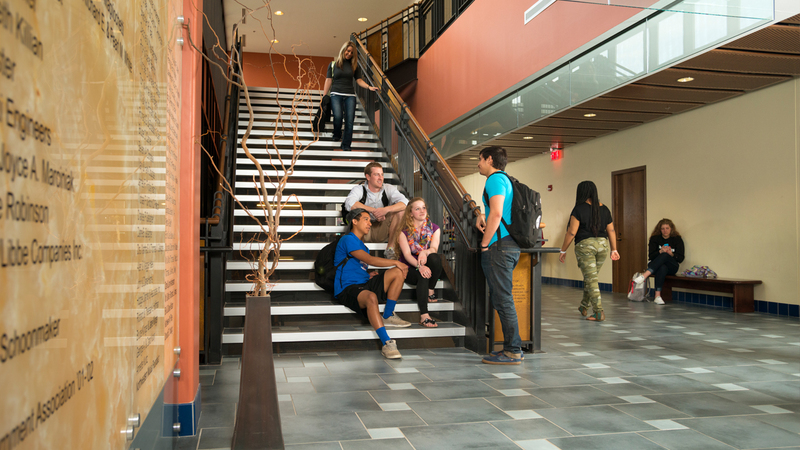 Offering bachelor and graduate degrees in the liberal arts and professional studies, Lourdes provides education and preparation for meaningful careers and lifelong learning and fosters personal integrity, ethical understanding, social responsibility, care for all of creation, and a commitment to community service. Lourdes University is currently inviting applications for an adjunct faculty position for teaching college-level Art History courses, typically one per semester. This position includes survey courses as well as global areas. The topic for the Spring 2019 semester is “World Architecture”. To apply, please email a letter of interest, CV, and the names of three references to Erin Palmer Szavuly at ESzavuly@lourdes.edu, or mail to Lourdes University, Attn: Erin Palmer Szavuly, Department of Art, 6385 Convent Blvd., Sylvania, OH 43560. Overview: Lourdes University, rooted in Catholic and Franciscan traditions, provides a values-centered education that enriches lives and advances academic excellence through the integration of the liberal arts and professional studies. 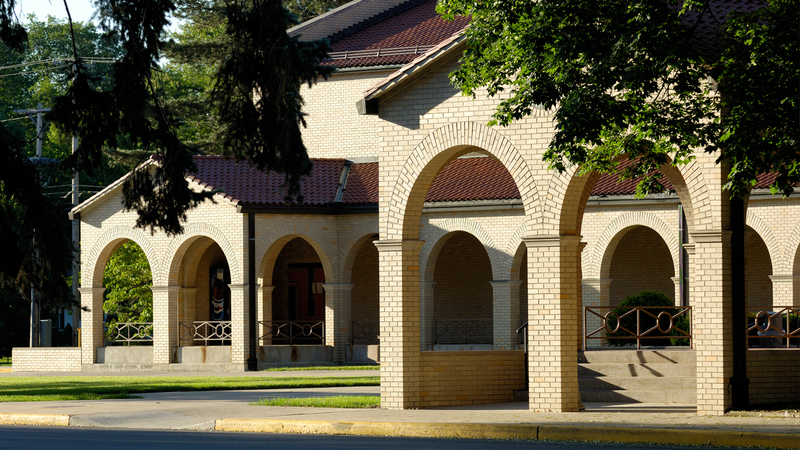 In support of this mission, Lourdes University nurtures a diverse community that supports students in fulfilling their potential; commits to the engagement of faith and reason, inspired by our Catholic and Franciscan intellectual traditions, and provides a holistic, student-centered education rooted in the liberal arts. Offering bachelor and graduate degrees in the liberal arts and professional studies, Lourdes provides education and preparation for meaningful careers and lifelong learning; and, fosters personal integrity, ethical understanding, social responsibility, care for all of creation, and a commitment to community service. Lourdes University’s College of Business and Leadership invites applicants for the position of Assistant/ Associate Professor of Sports Management. This is a full-time, nine-month, faculty position beginning in the Fall of 2019. This position will teach undergraduate courses in the Marketing major. Faculty load is four (4) courses per semester in face-to-face, hybrid or online academic format. Present a dynamic classroom presence and be versed in multimodal teaching. Participation in a minimum of one faculty and/or university committee. To apply, candidates should send a cover letter, curriculum vitae, statement of teaching philosophy and three professional references (all in MS Word or pdf. format only) to resume@lourdes.edu. Review of applications will begin immediately. Lourdes University invites applicants for the position of Assistant Professor of Psychology. This is a full-time, nine-month, faculty position beginning in the Fall of 2019. This position will teach undergraduate courses in the psychology major. Faculty load is four (4) courses per semester in face-to-face, hybrid or online academic format. Practical experience in the psychology field, teaching experience and varied scholarly activity desirable. Lourdes University’s College of Business and Leadership invites applicants for the position of Assistant/ Associate Professor of Finance. This is a full-time, nine-month, faculty position beginning in the Fall of 2019. This position will teach undergraduate and graduate courses in Finance and Business. Faculty load is four (4) courses per semester in face-to-face, hybrid or online academic format. Lourdes University’s College of Business and Leadership invites applicants for the position of Assistant/ Associate Professor of Business with an emphasis in Healthcare Administration. This is a full-time, nine-month, faculty position beginning in the Fall of 2019. This position will teach undergraduate and graduate courses in Healthcare Administration and Business. Faculty load is four (4) courses per semester in face-to-face, hybrid or online academic format. Overview: Lourdes University, rooted in Catholic and Franciscan traditions, provides a values-centered education that enriches lives and advances academic excellence through the integration of the liberal arts and professional studies. 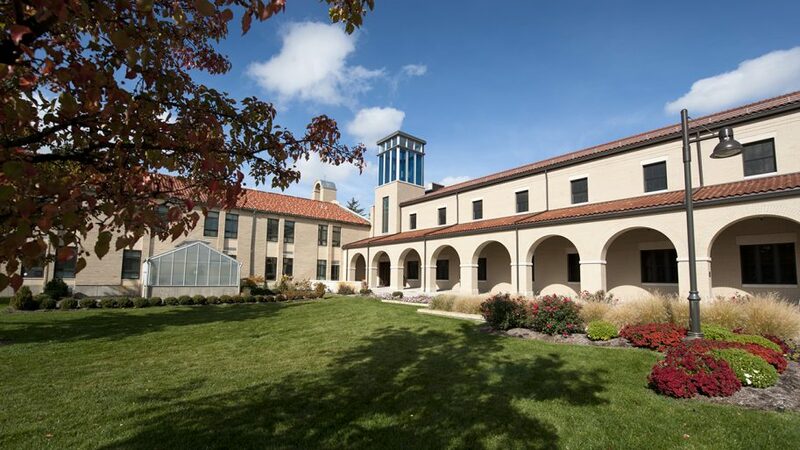 In support of this mission, Lourdes University nurtures a diverse community that supports students in fulfilling their potential; commits to the engagement of faith and reason, inspired by our Catholic and Franciscan intellectual traditions, and provides a holistic, student-centered education rooted in the liberal arts. This education prepares individuals for meaningful careers and lifelong learning; and, fosters personal integrity, ethical understanding, social responsibility, care for all of creation, and a commitment to community service. Lourdes University’s College of Nursing invites applicants for the position of Assistant or Associate Professor of Nursing. This is a full-time, nine-month, faculty position beginning in the Spring Semester, 2019. Faculty load is four courses per semester in an online academic format. 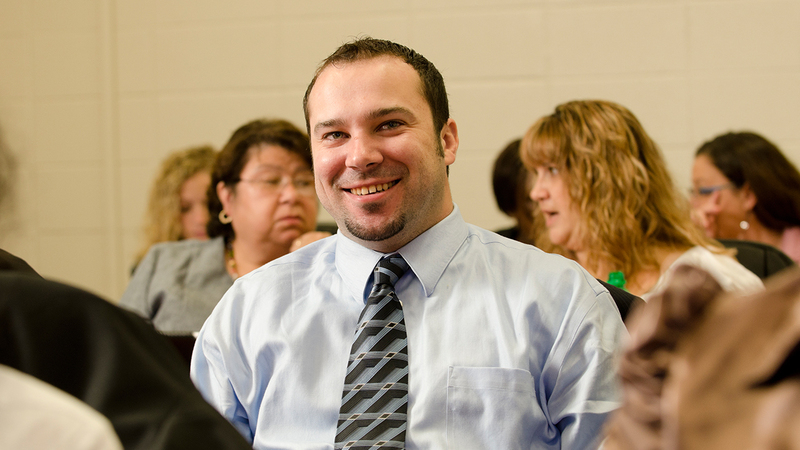 Teach graduate courses in Nursing in the DNP and MSN Programs. Provide academic advising and participate in at least one faculty and/or university committee. Ability to work with adult learners who are working while pursuing their studies. Evidence of excellence in teaching and potential for significant scholarship and/or demonstrated experience in a professional role. Three or more years of clinical practice experience required. Experience in a higher education faculty role and instructing in a DNP program strongly preferred. Lourdes University in Sylvania, Ohio invites applicants for an adjunct faculty position in the Department of Chemistry and Physical Science. A lecture instructor is needed beginning January 2018 to teach an integrated science course for Education majors in Sylvania. Successful applicants must demonstrate a strong commitment to teaching and possess at least a Master’s degree (Ph.D. preferred) in chemistry, biology, or physical science with some experience teaching K-8. Applicants with a Master’s degree in Education must demonstrate a strong foundation in the sciences. Lourdes University in Sylvania, Ohio invites applicants for an adjunct faculty position in the Department of Chemistry and Physical Science. A lab instructor is needed beginning January 2018 to teach an introductory general, organic, and biological chemistry lab course for allied health students in Sylvania. Successful applicants must demonstrate a strong commitment to teaching and possess at least a Bachelor’s degree in chemistry, biology, or a related science. Lourdes University, a private institution of higher education offering bachelor and graduate degrees in the liberal arts and professional studies, invites applicants for Adjunct Faculty/Teaching Assistants for the 2018 Fall Semester in the College of Nursing. These temporary positions will assist and work under the direction of faculty to provide instruction in a classroom, laboratory or clinical setting. MSN or graduate degree in Nursing will earn $45 an hour and $35 an hour for a BSN degree. Master’s degree in nursing or related field preferred. BSN degree required. 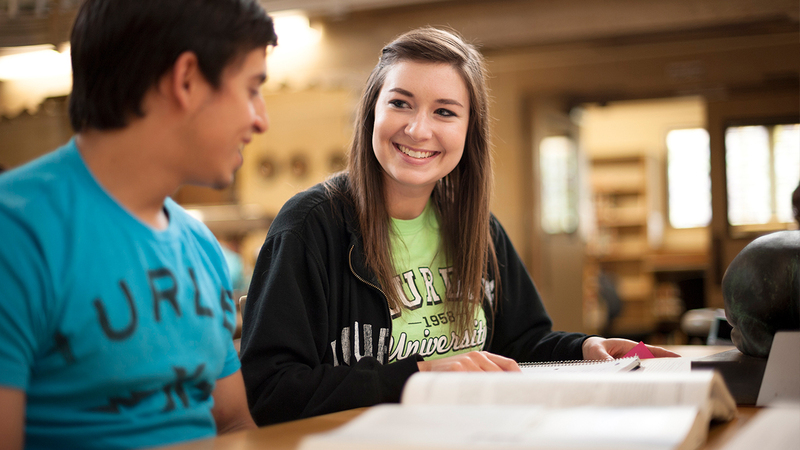 Lourdes University is seeking a Campus Minister. This position will assist the Director of Campus Ministry & Service Learning in designing and implementing programs that foster faith development and an awareness of social justice issues among the members of the Lourdes University community and that develop leadership skills among students. Programs will focus on prayer & reflection opportunities as well as community outreach. Oversee students and assist them with developing materials for Scripture sharing groups and prayer experiences. Assist in developing resources, planning and implementing retreat opportunities. Mentor student leaders with planning alternative break outreach projects, facilitate reflection experiences and evaluate the success in achieving the learning outcomes for the projects. Plan additional outreach opportunities with students and facilitate reflection experiences. Mentor Tau Scholar leaders to help them in developing leadership skills and assist with annual evaluations. Plan and offer opportunities for education on community needs and social justice issues. Maintain a presence on Campus Ministry’s social media platforms. Plan and guide discussion groups that educate on Catholic Christian beliefs and values, and possibly assist with RCIA education. Provide instruction to First Year Experience (FYE) students during the curricular component on Franciscan heritage and identity. Be available to meet with individual students who wish to discuss matters of personal faith and values. Assist with planning activities that foster a spirit of community among students, faculty & staff. Serve as an advisor for the campus ministry student organization. Compile annual reports on student participation in Campus Ministry activities. Ability to develop and sustain effective professional relationships. Strong organizational and computer skills. Availability to work evenings and weekends. Desire to be actively involved with the campus community. A high degree of personal integrity and professionalism. A practicing Roman Catholic, or possessing a high level of knowledge of the teachings and practices of the Roman Catholic faith. Respect for and understanding of other faith traditions and beliefs. Pastoral experience or experience in coordinating service opportunities. To apply, send a cover letter, resume, and contact information for three professional references (all in MS Word or .pdf format only) to resume@lourdes.edu. Lourdes University is seeking a contractor or temporary consultant to fill the role of Instructional Designer on a short-term basis. This position is responsible for providing support for the design, implementation, and processing of all instructional materials through Canvas, the Lourdes on-line Learning Management System. Works with Information Technology and faculty to facilitate access to, and use of, Canvas. Lourdes University invites applicants for the full-time position of Women’s Lacrosse Assistant Coach. This position will report to the Women’s Lacrosse Head Coach, with responsibility to the Athletic Director. Assists in the ongoing teaching and instruction of student-athletes in the performance of their sport. This includes games, practices, individual and team workouts, and conditioning sessions. Supports the mission and vision of the University and respects the University’s Franciscan values and tradition. Knowledgeable and competent with NAIA, WHAC and any other governing body association for rules and regulations as it relates to the sport. Uses discretion and independent judgment to establish standards to identify and evaluate potential student-athletes whose athletic and academic abilities and character are compatible with Lourdes educational purpose. Provides significant input to the head coach in determining which schools/showcases/recruiting events to visit, which student-athletes to recruit and scholarship dollars to offer. Assists in the academic development of the student-athlete by monitoring of academic courses, facilities tutors and oversees academic study sessions. Communicates effectively and courteously with others, including employees, students and the public, in a spirit of teamwork, respect and customer service. Assists in ensuring the academic success of the student-athlete by reviewing bi-weekly progress reports submitted by faculty members and meets with at risk or other identified student athletes to review academic progress. To apply, candidates should send a cover letter, resume or CV, and three professional references (all in MS Word or pdf. format only) to resume@lourdes.edu. Review of applications will begin immediately. Lourdes University is seeking an Admissions Coordinator. This entry-level position participates in all phases of the student recruitment process and reports directly to the Director of Undergraduate Admissions. This position is responsible for managing the enrollment process for a designated territory and assists with special recruitment projects. This is a full-time, twelve-month exempt position. Represent Lourdes in assigned geographic regions for recruitment at high schools, college fairs, community events and churches. Communicate to applicants in accurate and timely fashion, including data entry, tracking, and reporting in the Customer Relations Management (CRM ) system. Recruit prospective students by visiting high schools, attending community college visits, college and/or career fairs, and other transition services programs and events. Develop relationships with high school counselors through regularly scheduled visits and routine recruitment contacts. Develop relationships with community leaders and business leaders through scheduled visits, community involvement and various recruitment opportunities. Responsible for review and conversion of inquiries, applicants, admitted and enrolled students for the designated territory; Expectation is to increase applications and enrollment activity through cultivating relationships within the selected territory and accurately forecasting enrollment within territory in order to meet qualitative and quantitative departmental goals. 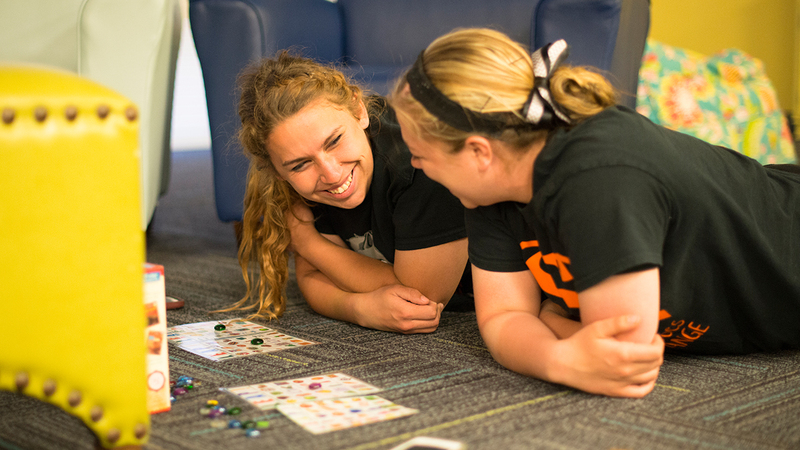 Develop in-depth knowledge about Lourdes University’s cost of attendance, financial aid and scholarship opportunities, and it’s academic and extracurricular programs and articulate these programs. Independently identify high schools, churches and other organizations to visit during recruiting activities. Follow up on inquiry files through phone calls and other appropriate correspondence. Plan and coordinate special projects that are a part of the overall strategic plan. Support day-to-day function of the Admission Office. A valid driver’s license with the ability and willingness to travel. Demonstrated ability to self-manage time, activity, and spending, staying focused on accomplishment of objectives. Proficient with system applications, a CRM, and on-line technology. One to three years in a related educational position and/or higher education preferred. To apply, send a cover letter, resume, salary requirements, and contact information for three professional references, and salary requirement (all in MS Word or .pdf format only) to resume@lourdes.edu. Lourdes University is seeking a Technology Specialist for the TriO program to work part-time, ten to twelve hours per week. This position assists with technology projects, trainings, programs, and marketing and outreach of the TRiO program to TRiO students at Lourdes University. Activities may include member outreach events, serving as an assistant to staff members, working with TRiO students on campus, and collaborating in the creation of technology programs, events, and activities to engage TRiO students. Increase student involvement/participation through technology, media, activities, and events. Assist with technology and database development. Post weekly on TRiO media sites to inform members of events, activities, and deadlines. Encourage students to effectively utilize Lourdes University TRiO Program and its many resources. Communicates technical information to users of varying skills. Model professional behavior and etiquette at all times. Assist with planning and coordination of TRiO events and activities. Outgoing with strong interpersonal and technology skills. Effective verbal and written communications skills, and problem-solving skills. Technology/database experience needed, independence and self-motivation a must. Must work well with diverse populations and be committed to providing a nurturing approach to learning. Knowledge of or ability to quickly learn MO Suite, Banner, CANVAS, Tutor Track, Google, etc. Must be familiar with TRIO SSS and have a GPA of 2.5 or above. Lourdes University, a private, four-year, institution of higher education located in Sylvania, Ohio, and sponsored by the Sisters of St. Francis, invites applicants for the position of Assistant Director of Career Services. This is a full-time, twelve-month, exempt position. This position works closely with academic and student affairs to enhance the career development experience of all students. The focus of the position will be to assist students with career discernment, internship exploration and the job search process. Provide daily individual or group consulting services to students of all majors. Counsel, manage and support them throughout their career exploration process and in all aspects of their professional development, including clarification of career goals, providing current information on specific career fields and employment trends, developing effective documents (e.g. resumes, cover letters) and advising on conducting effective employment (job and internship) searches. Develop and implement programs and workshops, events, webinars and shadow experiences to foster students’ knowledge and interest in preferred career choice and market career development/services on the following topics: job or internship search, LinkedIn, interviewing, resume and cover letter writing, salary negotiation, and career exploration. Interpret and apply self-assessment instruments including Myers-Briggs Type Indicator (MBTI) and Strong Interest Inventory. Develop collaborative relationships with faculty, department chairs, Deans and members of the Development and Alumni Affairs offices. Collect and analyze data about usage and outcomes of career services initiatives, reporting information as required in compliance with all internal College constituencies, including first destination survey, internship tracking etc. Promote College Central (on-line job and internship database); increase the number of students registered in the system. Act as the human resources personnel for all on-campus employment opportunities (institutional funds and federal work study monies), including training on-campus employers/supervisors on the student employment funding application process. Collaborate with the financial aid office, human resources and payroll to provide on-campus employers/supervisors with up-to-date information on hiring paperwork, student contracts, payroll schedules, timesheets and federal work study information. Monitor and manage a student employment budget of approximately $300,000, providing over 130 students with on-campus student employment opportunities. Answer student and departmental questions related to on-campus employment, and federal work study. Provide consultation to students looking for on-campus and part-time employment opportunities. Master‘s degree required in Higher Education, Student Personnel or related field. Minimum 1-3 years of experience in higher education, career services, resources or related field. Demonstrated ability/success working with diverse population. Knowledge of Myers Briggs Type Indicator and Strong Interest Inventory. Lourdes University is currently searching for a Wedding and External Events Coordinator. This position reports to the Director of Events at the Franciscan Center, and is responsible for the scheduling, planning, and overseeing of all external events. This position is also responsible conducting facility tours and communicating with prospective clients, and supervising the bar, facility, and staff members during large external events. Oversee and manage all wedding receptions and other large events. Schedule, contract, send invoices, and bar details to clients and appropriate staff members. Run errands during large events and any additional help during said events. Manage the Bar. Duties include bar back (if necessary), schedule bartenders, order alcohol, train new bartenders, maintain a detailed bar inventory document, create a bar menu and provide a summary report and help with clean up at the end of each event. Arrange meetings with potential clients touring the facility. Coordinate with external clients prior to their event to obtain event details and set-up needs. Consistently update wedding planner packet, wedding websites, and related documents. Keep record of all client liability information and catering licenses. Maintain and update all external events in Caterease and Outlook. Reports to Building Manager for any additional duties. Ability to communicate effectively with management and other staff members. Strong Computer and Writing Skills. Familiarity with Microsoft Office Products. Flexibility to work nights and weekends as needed. Some experience with one or more of the following: bar management, banquet management, event planning, or supervising an events staff. Lourdes University is currently searching for a Coordinator of Competency-Based Programs. This position reports to the Vice President of Academic Affairs, and is responsible for designing and overseeing the production of competency-based, personalized and adaptive programs. Manage the design and implementation of a competency-based program in business, and oversee the development of modules and learning activities leading to the degree, working closely with subject matter faculty experts and academic leadership. Develop a production timeline with necessary production dates, internal and external approvals as necessary. Development of accreditation materials as necessary. Manage the recruitment, selection, training and supervision of competency-based tutorial faculty (from current faculty and from the external market) and staff as necessary. Identify technology and instructional design support necessary to assure program success. 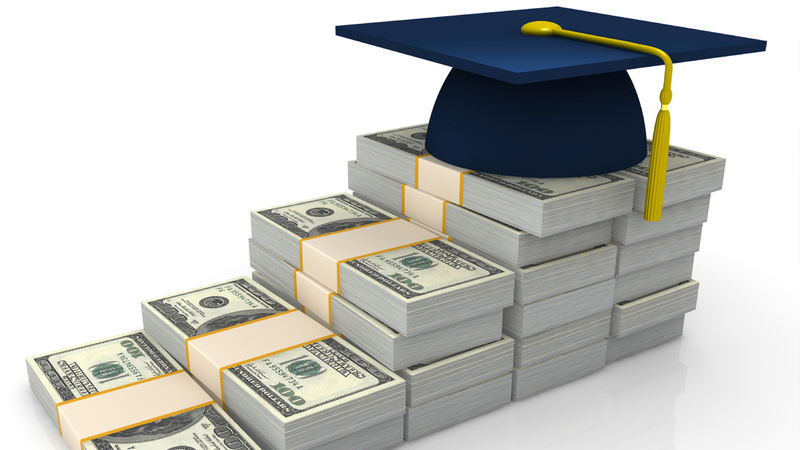 Propose policies and procedures for competency-based degree programs. Project management skills and strong attention to detail. An understanding of learning technology, particularly technology relevant to personalized and adaptive learning environments. Ability to successfully complete complex projects using a collaborative work model. Master’s degree in Business, Education or a related field; Doctorate preferred. A demonstrated record in the development, implementation, and teaching in competency based instruction. Experience in curriculum design and assessment processes, including accreditation. The Lourdes University Upward Bound Program (UB) invites applicants for Math and Science after-school tutoring positions in its Academic Year Program. Tutors will be expected to work at one of two school sites, three days a week (Woodward- Monday, Tuesday & Wednesday and Waite-Monday, Tuesday & Thursday) from 3:30-5:30 p.m. Anticipated hiring salary is $15-$18 (hourly). Facilitate active tutoring sessions which include, but are not limited to: asking questions, drawing diagrams, creating flash cards, developing outlines and encouraging reading. Help students with problems they are having in specified academic area(s). Grade and evaluate student work. Bachelor’s degree in education or related field. Experience in teaching and advising students from diverse, multi-ethnic, and economically disadvantaged backgrounds. Applicants should email cover letter, resume and a list of three professional references to resume@lourdes.edu (all in MS Word format only) (Certified teachers need to submit a copy of their teaching certificate). The Sisters of St. Francis, Sylvania, Ohio are Third Order Regular Franciscans, living in community as vowed religious according to the spirit and example of Francis of Assisi. As women of peace and seekers of justice, we are committed to serving God’s people through diverse ministries in 16 Dioceses in eight states and the island of Haiti. The Sisters of St. Francis are inviting applicants for the position of Environmental Services Team Leader. This position is responsible for leading and assigning tasks for third shift staff as necessary to accomplish a positive overall look and the general cleanliness of assigned buildings. In accordance with general directions, performs a variety of daily/routine and periodic cleaning tasks within assigned work areas. Assists housekeepers and assigns absence coverage. Follows established procedures, which result in a clean, healthy and safe work and community environment. 1. Promotes the values of the Sisters of St. Francis by demonstrating behaviors supportive of a commitment to reverence human dignity, care for all, including the least in society and respect for the gift of creation. Calls for collaboration and cooperation, open and effective communication and efficient and effective use of resources. Adheres to the Sisters of St. Francis’ policies, procedures and objectives. Exhibits professional attitude in attire, workspace and interpersonal communication. 2. Adheres to written work schedules, and/or verbal assignments. Performs quality work free from defects. Completes assignments within allotted time parameters. Floor care to include buffing, waxing, extracting, etc. 4. Reports observed facility, e.g., leaking faucets, burned-out lights, etc. and equipment repair needs and/or corrects when appropriate. 5. Properly maintains and uses assigned equipment in a safe, appropriate manner. Maintains work areas, equipment and facilities in a clean, orderly condition. Requisitions supplies as needed. 6. Inspects employee work areas regularly to assess cleaning quality and completeness of assignments; informs Environmental Services Supervisor as needed. Offers support with the inspection and performance evaluation processes as requested. 7. Maintains on-going, two way flow of information with all key relationships. 8. Schedules, coordinates and performs routine and project cleaning with Environmental Services staff. 9. Attends and participates in scheduled in-service training. Performs tasks in a safe manner, using required/recommended personal protective equipment. 10. Performs other related duties as assigned. 1. Ability to understand and follow written and oral work instructions. 2. Demonstrate an understanding of basic math necessary for proper dilution of cleaning chemicals. 3. Mechanical aptitude necessary to operate powered housekeeping equipment. Basic computer skills necessary to access e-mail and work order request system. 6. Interpersonal skills necessary to communicate and cooperate with various campus residents/guest/employees. Ability to teach, train, and motivate assigned staff. 7. Organizational skills necessary to plan and coordinate work completion with available staff. Various housekeeping equipment including carpet and wet vacuums, floor scrubbers, dust/wet mops, brooms, ladders, etc. 1. Continuous standing, stooping, bending, pushing, pulling, reaching and kneeling. 2. Ability to lift objects up to 30 pounds, e.g., trash liners, soiled/clean linen containers, mop pails, cleaning equipment, etc. 3. Ability to climb ladders. 4. Use of and exposure to commercial cleaning chemicals with associated odors and hazards. 1. High school diploma or G.E.D. 2. Two (2) years of demonstrated, related work experience. Submit resume, cover letter, & three professional references in MS Word format to resume@sistersosf.org on or before 04/12/19. EOE.